Andrew started his soccer career on SSA/Cobb FC's Rec and Academy programs before going onto US National Team Residency and then selection to the MLS Atlanta United franchise where he made his competitive debut at the age of 16. Joseph (Joe) Bendik was traded to Orlando City from Toronto FC in 2015. 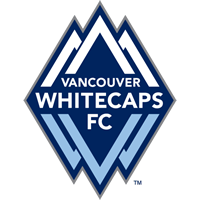 He joined Toronto FC on December 12, 2012 in a trade with Portland Timbers. Bendik grew up playing for Cobb FC/SSA Central '89 team before going on to play at Clemson University. After Clemson Joe played in Europe with Sogndal, Norway, in 2010. He signed with Portland Timbers early in 2012 before his trade to Toronto. 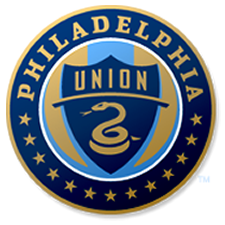 The Union selected forward Jack McInerney with the seventh overall selection in the 2010 MLS SuperDraft. A Generation adidas signee, Jack bypassed the college ranks, going straight to the Union after playing at Cobb FC/SSA Central. As a youth international, McInerney appeared in all four games for the U.S. in the 2009 FIFA U-17 World Cup, scoring two goals and helping the squad to the Round of 16. In April of 2009 at the CONCACAF U-17 Championship in Tijuana, Mexico, McInerney's lights-out play on offense led the Americans to convincing wins over Cuba, Canada and Honduras. McInerney opened the CONCACAF tournament with two goals and two assists in a 5-0 win over Cuba, before scoring the first two goals in a 4-2 victory against Canada and registering a goal and an assist in a 3-0 win versus Honduras. McInerney was a member of the U.S. Soccer U-17 Residency program since the Fall of 2007. 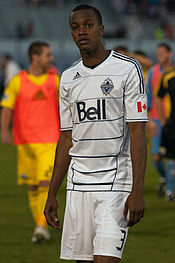 Duckett was drafted first in the third round (37th overall) in the 2011 MLS SuperDraft by Vancouver Whitecaps FC. Duckett played for Cobb FC/SSA Central and played for McIntosh High School where he captained the squad to a state title in his senior season. He joined Notre Dame's Fighting Irish in 2007 and started at right back his junior and senior year. Leigh Jakes, former Cobb FC player, was on the roster of the WPSL's Chicago Red Stars and NiceFutis FC, playing in the Women's Professional League in Finland. Leigh was a member of the Cobb FC 88 Lady Chiefs State Cup-winning team and played her college soccer at Northwestern.